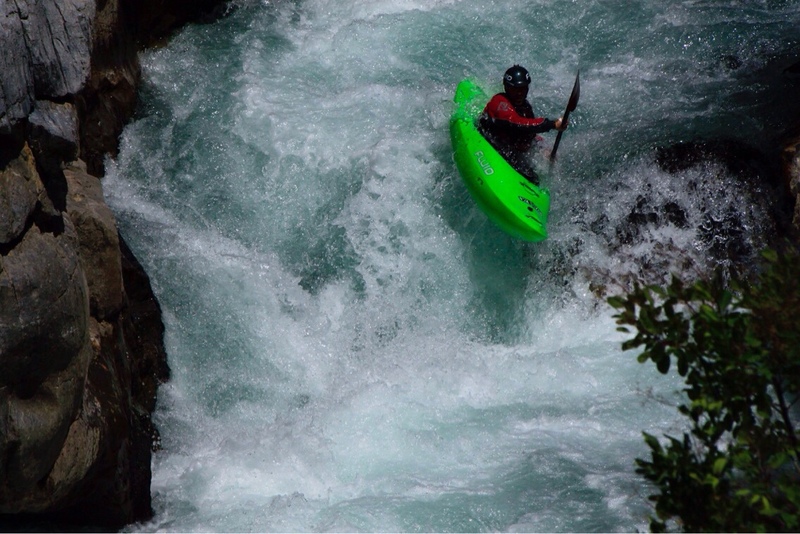 Kayaking the Taurus Region of Turkey | DBP MAGAZINE ONLINE The World's Best Free Whitewater Publication. It’s now been 16 years since I paddled my first river. Naturally the Taurus rivers were the first ones I hit as it is basically my backyard. 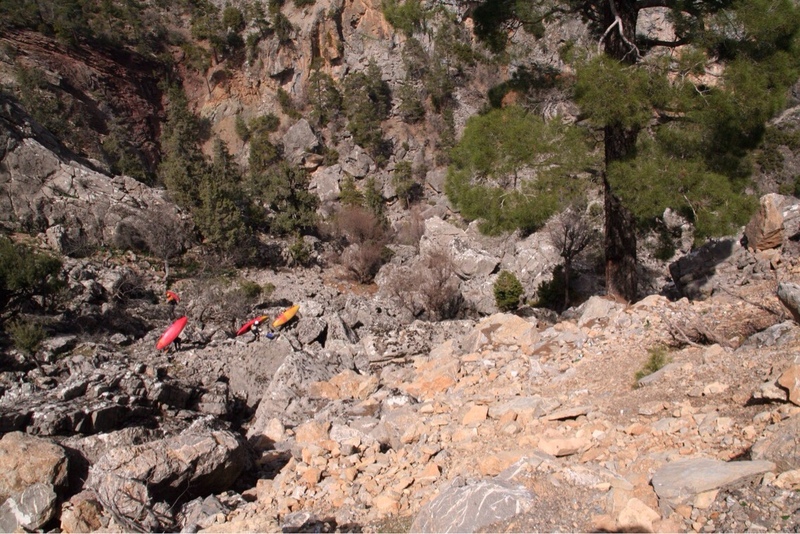 I started as a raft guide and safety kayaker on the Class 3 big volume Koprucay River near Antalya, Turkey. Quickly after I was introduced to kayaking and no doubt I was hooked and decided to stay kayaking for the rest of my life. Well with no access to any specific instructions or gear etc. I knew it was going to be an interesting journey. But it was definitely cool to have those old Koprucay legends around from around the world both to get some second hand gear and advice. 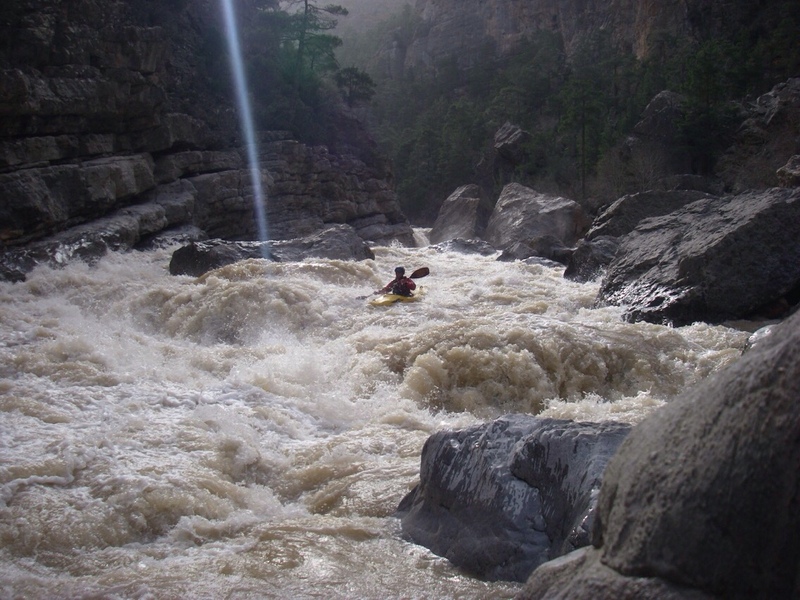 I was 22 years young, hungry for extreme whitewater and experience. 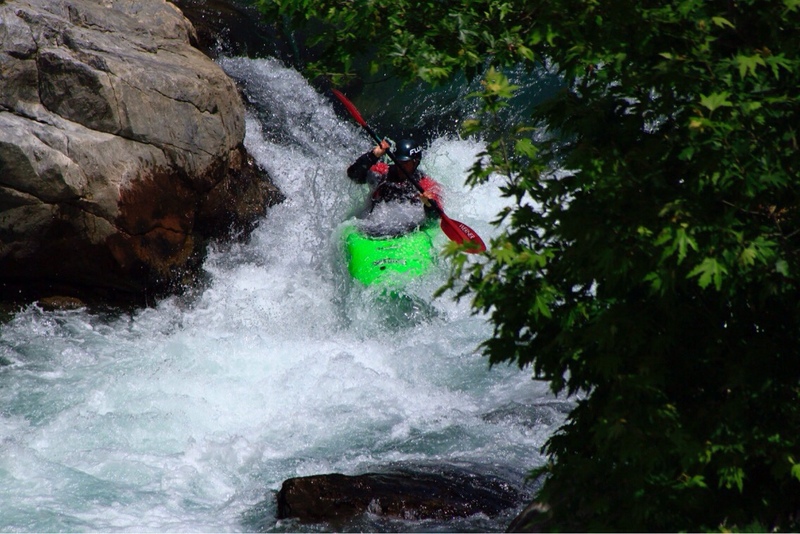 I quit my career as a pro musician and started working as a photo/video kayaker on the mighty Dalaman river near Mugla (a class 3 to 5 technical steep gorge) in order to get prepared to explore what my own rivers have to offer. There weren’t any other local paddlers up to the task or keen to try, but I was lucky to meet some german kayakers who were, and together we hit the road. Taurus rivers are wild! 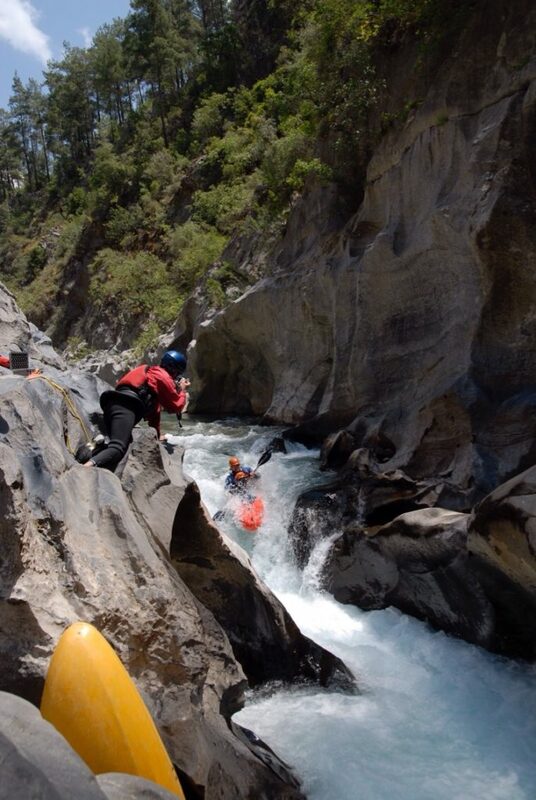 Remote, deep, long gorges and canyons create a big nest of whitewater ways. A good team, with strong nerves, good paddling technique and some climbing skills makes your life easier down there. In February 2004, a group of Germans headed to Antalya for a two week expedition/road trip and they contacted me for logistic support. Well it was a good chance for me to go do some proper paddling. The deal was simple: I would organise a van and driver and they would let me join them in their class 5 project. In a Riot Disco!?! However, the outcome for me was a total success. And I learned that I may need a dry top and a helmet with no ventilation holes on it for future projects. In that trip we covered some parts of the Manavgat river, and the entire Alara river (source to sea is 50 km). 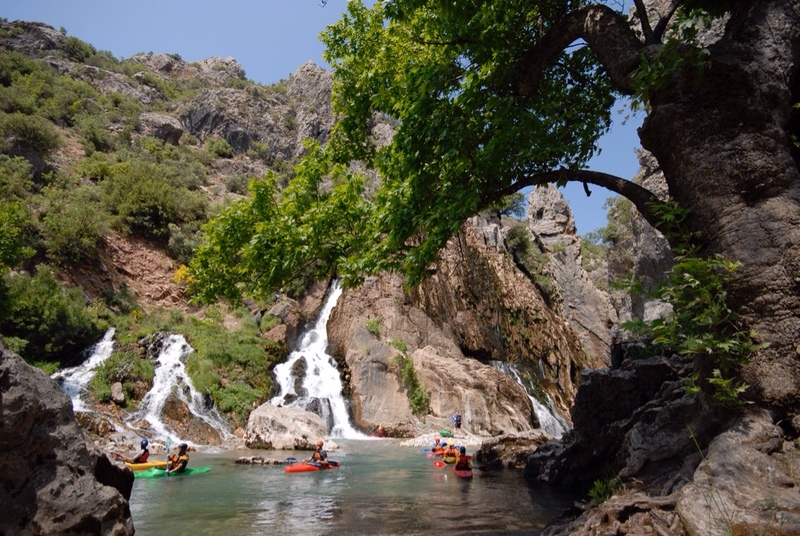 We paddled some parts of the Gevne, Dim and Dragon, two big gorges of Ermenek and Dalaman Rivers. But this was only scratching the surface. Right after this trip (not knowing they would report on this trip on a blog) I started receiving requests for guiding the region from both pros and weekend warriors, first from Germany and Austria, followed by Italy, USA, England, Poland and France. I mean why not? It’s cheap to fly from Europe, there are good rivers, friendly locals, wilderness, lifestyle, good food and its already warm and sunny in Turkey when it’s still winter in Europe. This makes for a good early start to the paddling season. To be honest, I didn’t plan to make any profit out of this, all I wanted was to go paddling and explore my home rivers. So when I received guide requests I was kind of surprised and took me time to respond to the needs of those paddlers who like to have a guide and easier trip. All I wanted was to go paddling and explore my home rivers. Actually, the Taurus region was first visited by paddlers in the 70s. Dave Manby was one of the first kayakers who became aware of the potential in the region when he crossed overland while on the way to his Dudh Kosi expedition in Nepal in 1976. In fact he kept coming back to Turkey for many years till the massive dam constructions starting to destroy the biggest and most known rivers in the country like the Coruh, Ermenek, Goksu, Gevne and others. 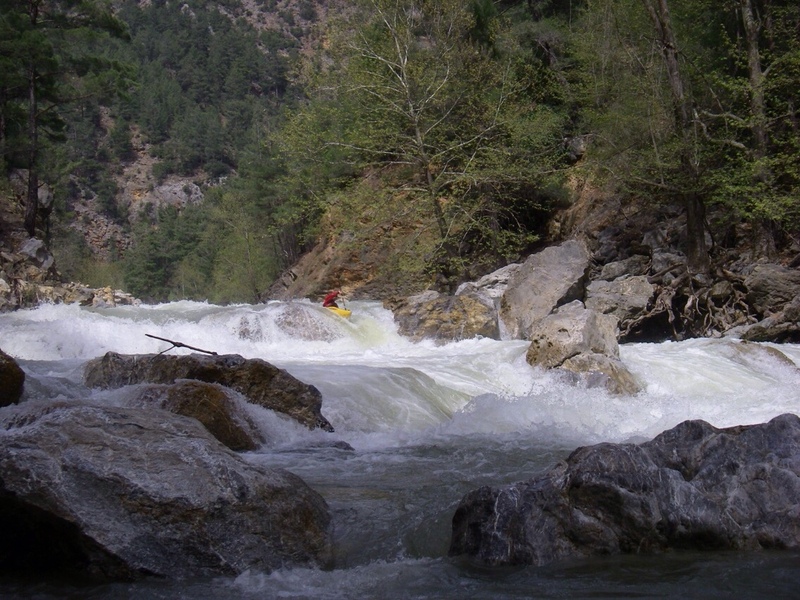 However, Turkey is a country rich with rivers and we still have wonderful runs, and lately some new creeks have been explored in the heights of the region, such as Ibis dere and Aksu creeks. It also depends on the weather of course. 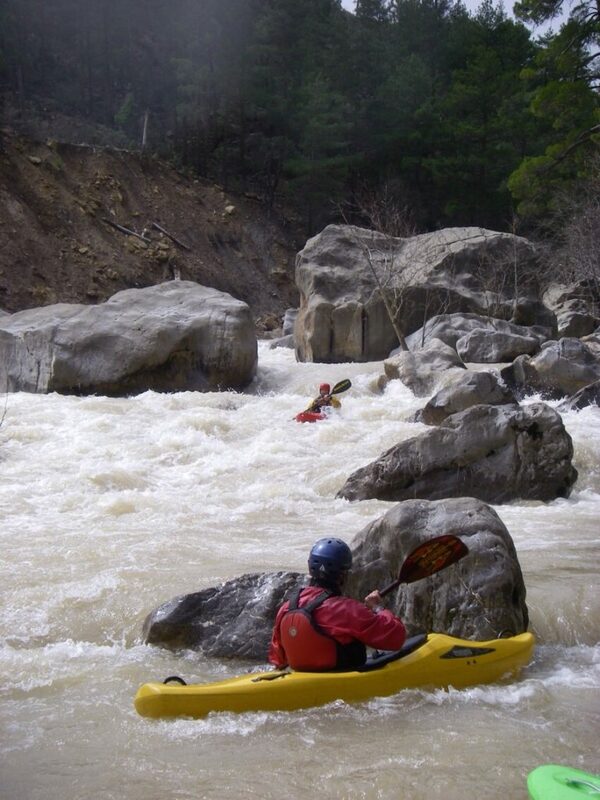 When the water is high and we can’t run some sections of the main rivers, we have some really fun micro creeks. Otherwise, main runs like the Koprucay, Manavgat, and Alara rivers provides nice 5 to 9 days road trip anyway. Turkey is a country rich with rivers. Facing big waters like neither they nor I had ever seen before, one non english speaking guy wanted to talk with me. He goes to his brother and asks some words and comes then to me and we talk, a bit. As we scout a rapid, he comes and says, “I think, everything is going to be ok”. He repeats the same sentence after all scouts till we arrive to the Ermenek gorge. After hiking in and scouting the first big one, he comes and says, “I think everything is going to be dead”. Yeah! There we had some good swims! I’m happy that everything was ok.
alara. waterfall shows the source. I had heard of Nils but never met or paddled with him before. Again it was high waters and we were on the Alara River. In the narrows (known as Keiserklamm by Germans) Pascal and Ferry fished me out just before I swim to the no go at this levels. I had to do something to fix my ego. We were on the main bridge below the narrows, looking into the main gorge that should not be entered after midday if you dont want to spend the night in the gorge. The week before we walked away with a group of young German and Austrians. Nils says, “Would you go?” And I say, “I go if you go”… Gear up! One of the best decisions in my life! The two of us ran all the rapids except one ledge. There was almost no flat water but lot of boils and whirls, even first descents on some new rapids created by landslides. He and I covered 36 kms of class 5 big volume creeking in about 3 hours with not even a roll. Ego fixed! April 2016 marked my last trip to the region so far. This time I guided for 7 paddlers from Italy. I was excited that some of them willing to run some class 5, but water levels were on the low side. I picked them up from the airport with a Ford transit and driver that knows all the put ins and takeouts. 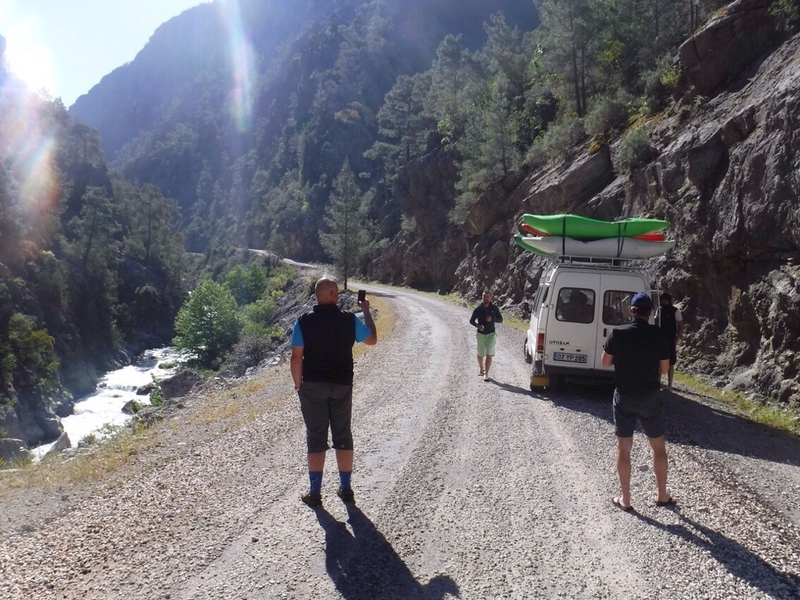 We headed to our first river, the Koprucay, about 90 km northeast of Antalya, staying in the cabins only once to rest after the flight and hit the river fit and early the next day. The Koprucay River is a good one to start, both for the paddlers to warm up and play a bit and for me to see how they paddle and decide where to go next. My strategy is simple: start with an easy one, end up with a hard one. After a long good day on the river, boats were loaded and we headed to Uzumdere creek in Manavgat. After about 3 hours of driving deep into the mountains, we arrived at our next base. Up in the wilds there is a small fish restaurant right next to our river and that’s our base for this part of the trip. It’s just at the take out of the home run which is a fun class 3, flowing through the magical thick jungle. So we always stay there and camp for free as we are having our breakfast and dinner from the restaurant. The owners are so nice and friendly and it always feels like home to be there, also its large field provides good rest between the sessions. The group loved the home run and we did multiple laps as it was kind of challenging for some of the paddlers. 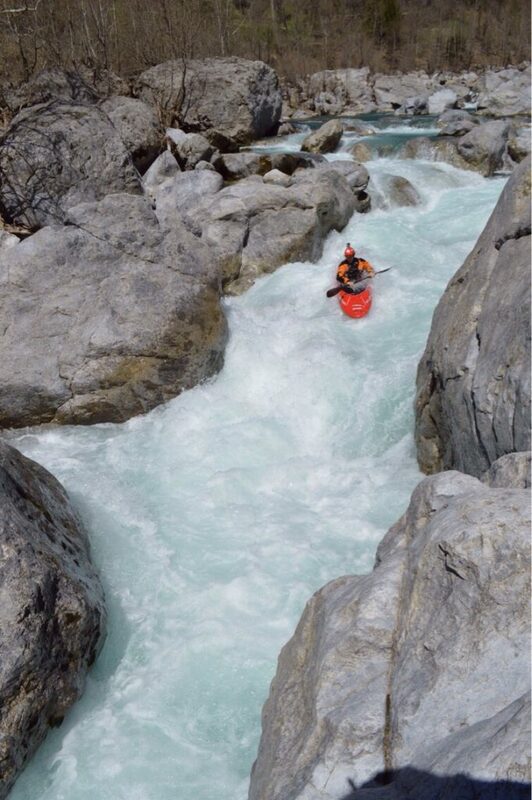 It’s a nice playground to improve the boof and creeking technique, and also can be an exciting run when it is at a pushy level. 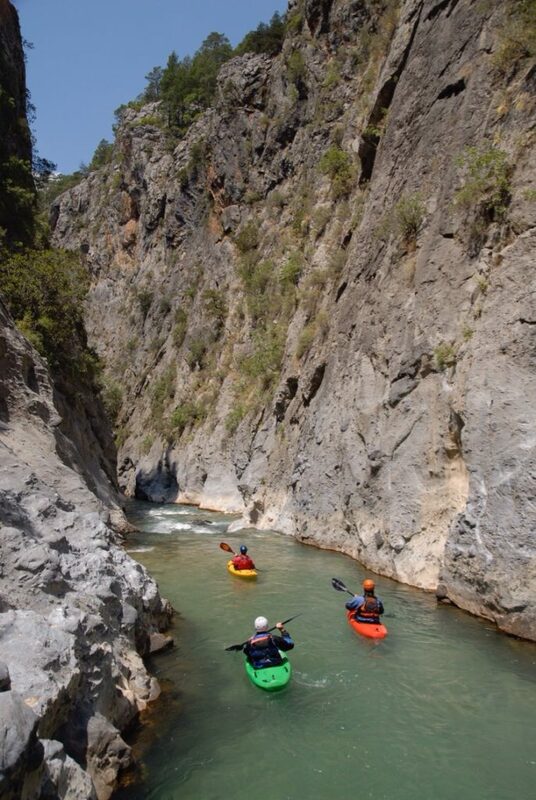 Uzumdere Creek has many sections from class 3 to 5 with a deep long demanding canyon in between. We probably stayed there two or three days doing laps on three different sections. morning scout on the alara. Now it was on to the next and last, the mighty Alara river. No doubt, it’s my latest favorite in Middle Taurus, with about 50 kms of source to sea world class whitewater that offers many different characters. Starting from Ucansu Falls (flying water) at its the source, followed by fun class 3 to 4 till the entrance of the Box canyon, this first part we again paddled multiple times. Then with the hard boys we entered the no exit Box canyon. Some epic portages and the impressive canyon you can only see from the river, followed by the Narrows, but most rapids are scoutable from the dirt road on the left. We did another laps on the narrows as its another 3 to 5 sweet section. All this amounted to about 14 kms in total. The next part is 38 km of big gorge, from the bridge called Kemerkopru to the sea. Over the last couple of years we’ve made this part in two days but the last access to the river from the road is not always driveable. So we chose rather to do it in one day, or two when the locals say its ok for the van to drive down to the river. So as we had spent lots of time doing multiple laps up there, this time we went for a full descent in one day. As I mentioned before, the water levels were on the low side and we had to portage some rapids which otherwise would be sweet class 5 whitewater. 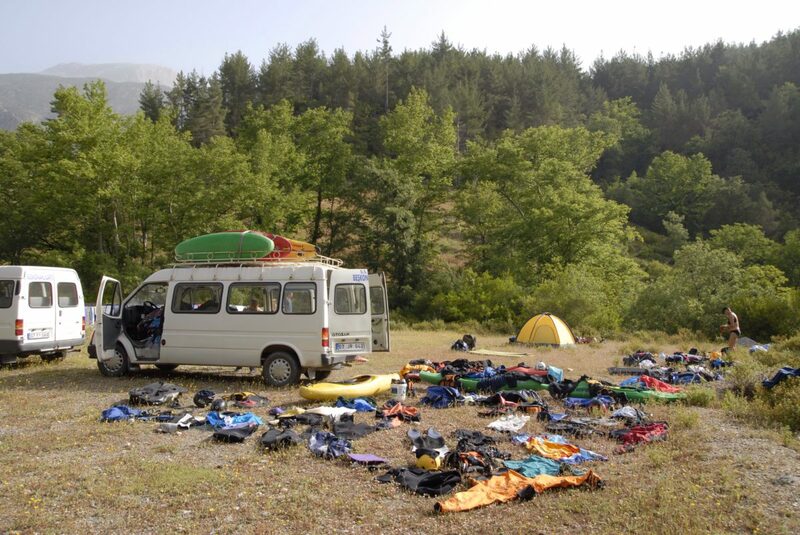 Around the Alara River we have many wild camp options. But there is also a small restaurant at the village between the Narrows and main gorge. The owner is mayor of the village, a nice young man, and also improved his place to suit paddlers. He now even has hot showers that we used during our three day stay. Again the deal was the same like the one in Uzumdere: Stay there for free, as we eat from the restaurants. For those who wonder, the prices are on low side while the food is mind blowing. Well I don’t know what more I can say about Taurus rivers but I’m sure there are more details I don’t remember at the moment. I dare you, go find out for yourself, you won’t be disappointed. But in short: The Taurus has adventures and road trip suits, both for whitewater adrenalin junkies paddling at a high level, and intermediates looking for more of an expedition kind of experience in low flows. Like every time, after the trip we drove down to the beautiful mediterranean city of Antalya to rest, party, and dry the gear for that last day before the flight back home… with a lot of nice memories and experience. EDITOR’S DESK: DBP Admin Serkan Konya is an expert kayak river guide and road warrior at Fluid Kayaks, ready to take you on an adventure. He has worked on many rivers in many countries over his many years of boating. He provided the photos and credits. For more info on the Taurus region of Turkey, or for info on the other places he paddles, go to Serkan’s Facebook page. Editor-in-Chief "Chicago" Mike Toughill is co-founder of Dirt Bag Paddlers and former Peshtigo River Manager at Kosir's Rapid Rafts in Wisconsin. He's been Wallacing since 2003. 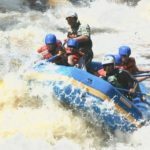 WHITEWATER FAMILY MAN ~ The Nick Troutman interview.